… with funny waterproofed tricks, gags and entertainment. 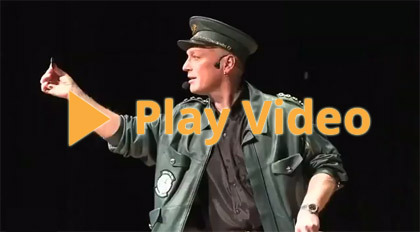 During the last years „Captain Green“ has performed just simple tricks around Switzerland and he has even got some money for it. But after one of his newly designed trick brought in the title of Magical Swiss Master he founded the "Green Air" to act as "King of Kerosine" and entertain people flying with him to the horizon. What's about safety on board? No problem. Because no airplane of his fleet has ever been startet and acting mainly on the ground no mystery incidents as well no emergency landing was registered until today. Anyhow his plane is always fully booked and the magical entertainment being on great demand..